A bathroom makeover can be challenging without the right contractor. W.B. Dickenson has been remodeling bathrooms since the early 1990’s. We have a team of skilled carpenters, tile installers, and of course licensed plumbers. We’re able to do the entire project in-house without the use of sub-contractors, therefore keeping our costs down and ultimately giving you a better price. The project is able to run smoothly and worry free with our management team keeping tabs on each project at pivotal points in the process. We work with each customer and give special attention to most details that are over looked by general contractors. Clients are never left unsatisfied and always have nothing but good things to say about our crew. We have hundreds of references and thousands of photos to prove it! Call us today for your free in-home consultation! Our free, in-home consultation will give us the opportunity to understand your needs and wants for your renovation project. Here is where we will go over your layout, product choices and overall design. 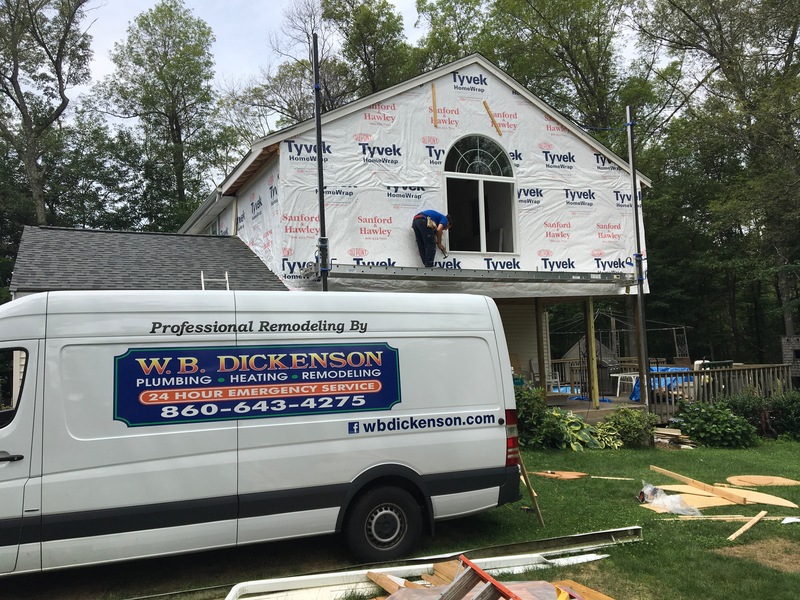 Once we begin, our dedicated remodeling team will work efficiently and will communicate frequently with the client on the overall project. Check out our gallery of recent projects. Our gallery section is always being updated, so make sure to check back often to see remodeling projects and more from W.B. Dickenson!